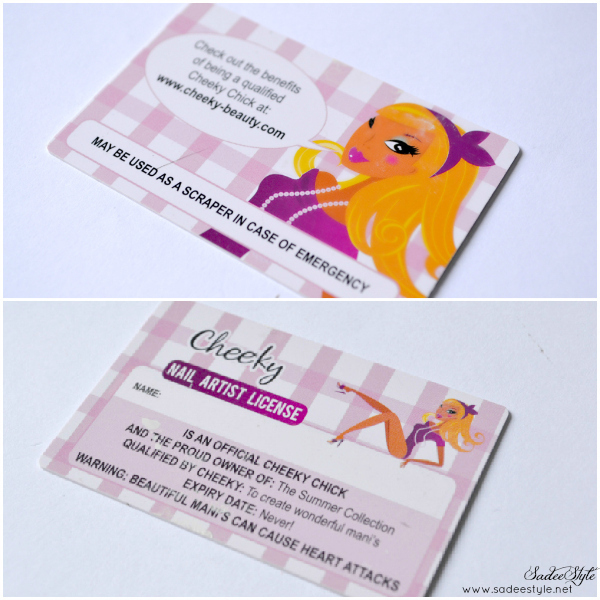 Cheeky stamping nail art recently launched their summer collection Cheeky. This is the first time I'm reviewing Cheeky plates on my blog. I've never used them before, but I've seen some good reviews about these plates and have been eye-ing for them for a while and now finally got them. Before this I've been struggling with bornpretty nail art stamping (review here) that doesn't mean that they were not good or useless, but those were not very well carved-ed, it took me about two or three attempts to achieve the right pattern on my nails that was really irritation and boring to clean your plates, stamp and scraper every time with nail polish remover to get the proper pattern. I received the parcel couple of days back from cheeky and instantly fell in love with the gorgeous packaging. Cheeky is a Chinese brand that deals in nail art products in very reasonable prices and amazingly provide free worldwide shipping. However, the collection I got is a summer collection which came with a box included 26 stamping plates along with nail art license card, well! this is pretty new thing for me as I've never heard about nail art license, but it is quite a new and refreshing experience for me. Box made with cardboard which contains 26 nail art image plates with unique and beautiful 160 designs. 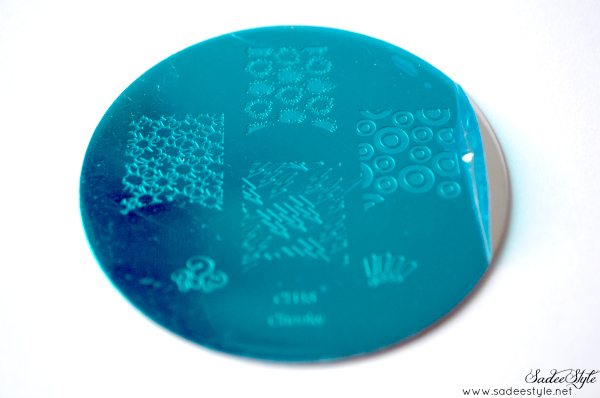 Cheeky stamping nail art image plates (Summer Collection) comes with special nail art license. Cheeky stamping nail art image plates (Summer Collection) come with a license that also can be used as a scraper. The size of the plate and design is quite bigger then the other brands of stamping art plates and its a great change Cheeky has done well with these. The Images will fit the long sized nails, if you have super long/wide nails, you might not have to double stamp.Do not forget to remove peel off the blue cover from the plates before using it, otherwise you will not get any pattern on the nails. Wide plates, patterns are big and very well carved-ed. 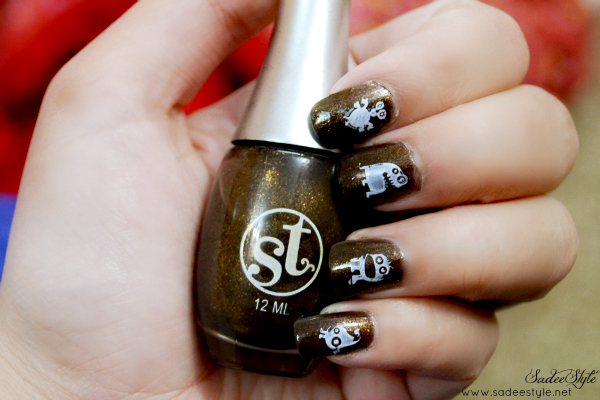 You do not need to buy a special nail polishes for stamping. I used drugstore brands sweet touch and a OPI, it worked great with them, but it usually work more good with thicker nail polish. You can put the images on other things to decorate them, like you can decorate your mobile, laptop or a makeup mirror. 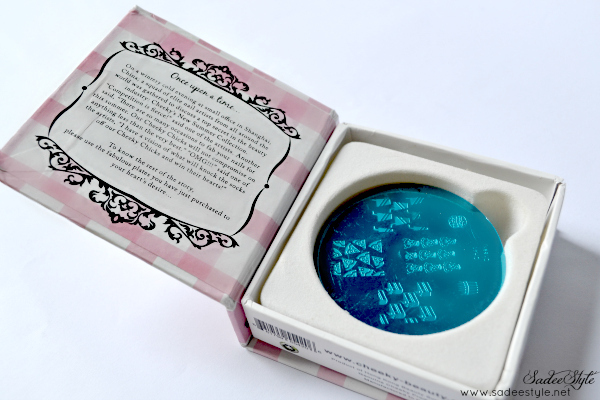 Cheeky stamping nail art image plates (Summer Collection) came in a cute cardboard box to store plates. They made with metal, but has paper backing to protect you from sharp edges. There is no scraper and stamper in the set though you can use license card as a scraper, but still we need stamper for stamping. 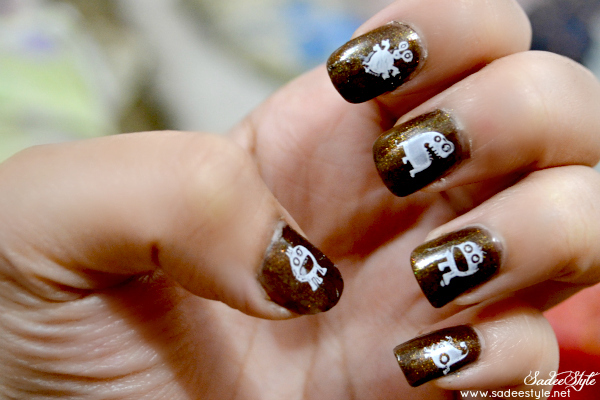 I highly recommended to the girls who love nail art and want to start with economic professional nail art stamping. WoW you got great stuff. Lovely nail art . Specially blue one is looking amazing. Nice review! Where can I order one of these kits from?